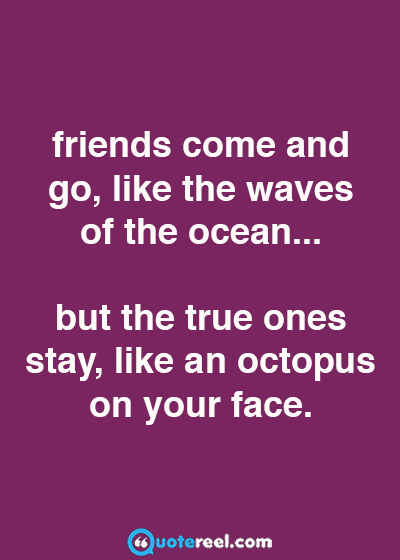 Friendship is one of the greatest gifts we can receive in life, and this Quotereel collection of funny friendship quotes celebrate the humorous side of friendships. 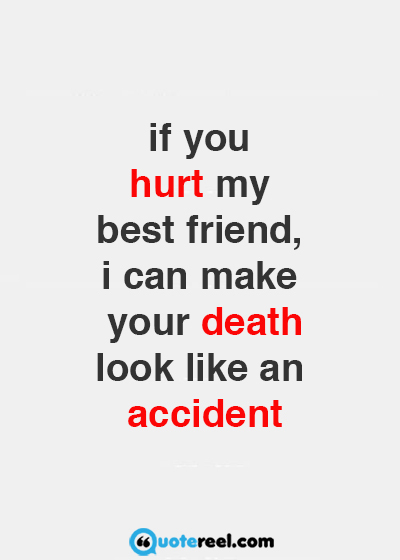 If you hurt my best friend, I can make your death look like an accident. 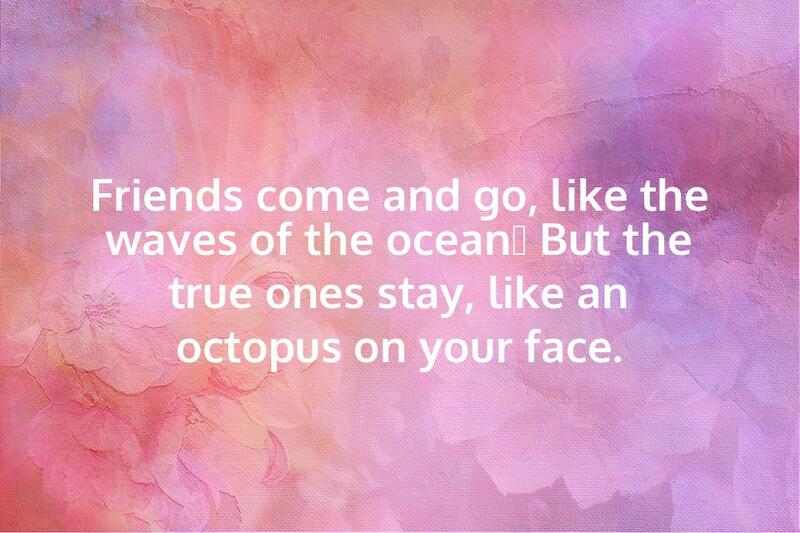 Friends come and go, like the waves of the ocean… But the true ones stay, like an octopus on your face. 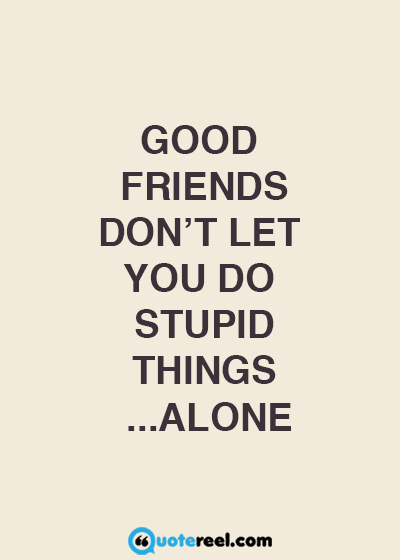 Good friends don’t let you do stupid things …alone. 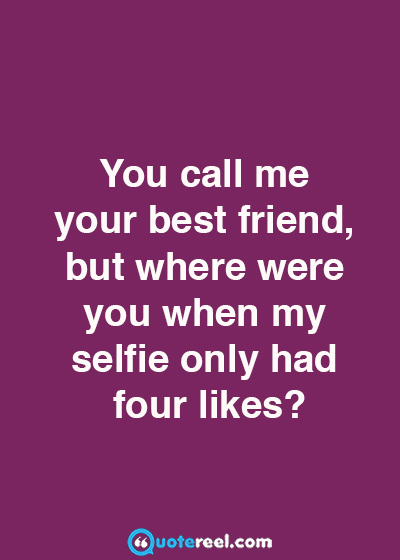 You call me your best friend, but where were you when my selfie only had four likes? 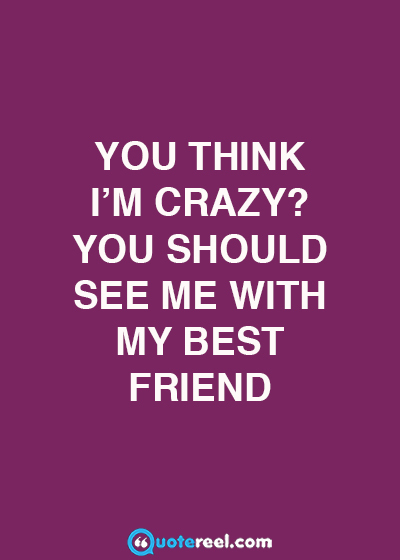 You think I’m crazy? You should see me with my best friend. 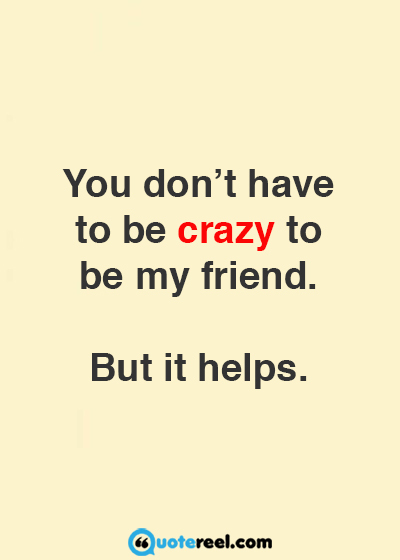 You don’t have to be crazy to be my friend. But it helps. 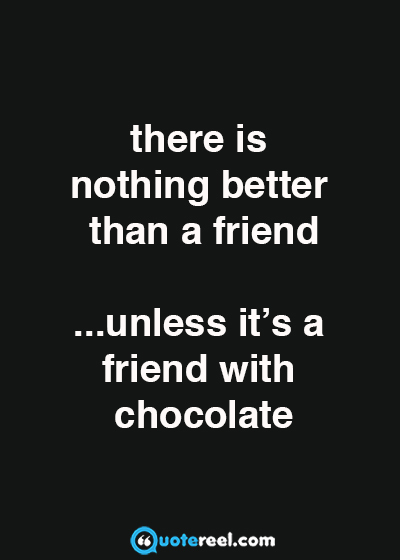 There is nothing better than a friend …unless it’s a friend with chocolate. 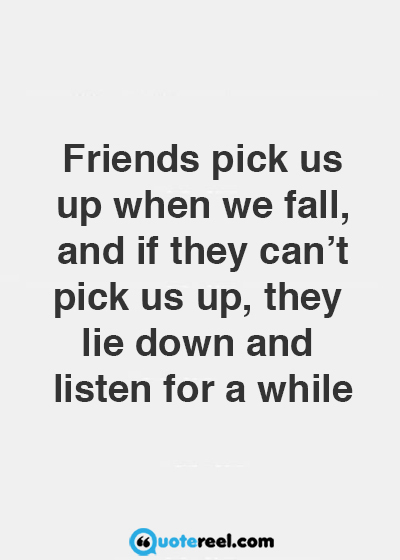 Friends pick us up when we fall, and if they can’t pick us up, they lie down and listen for a while. 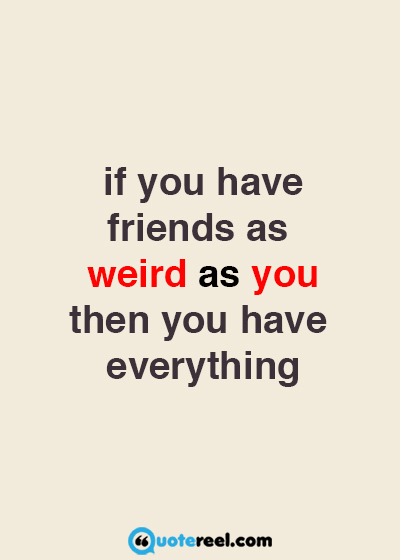 If you have friends as weird as you, then you have everything. 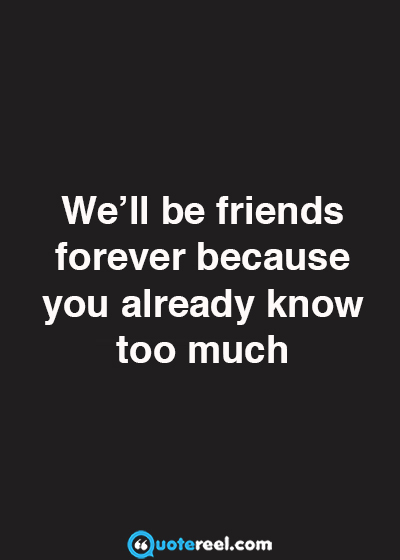 We’ll be friends forever because you already know too much. 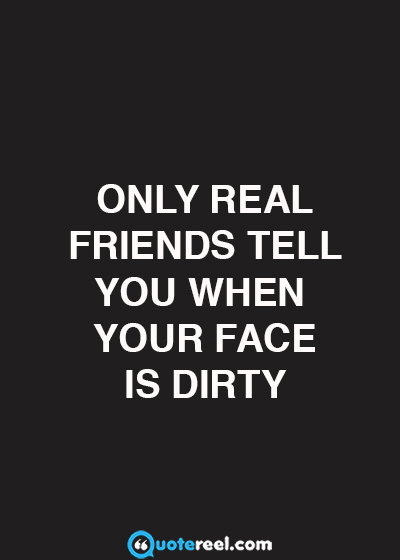 Only real friends tell you when your face is dirty. 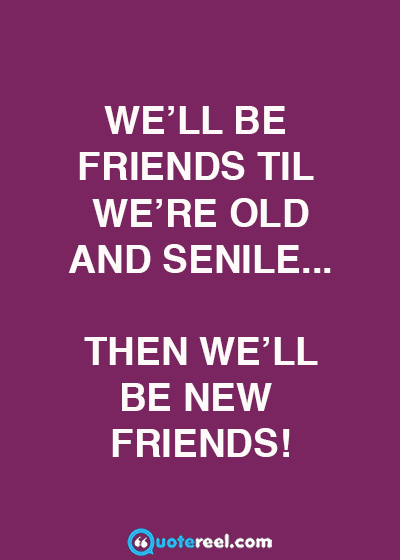 We’ll be friends til we’re old and senile… Then we’ll be new friends. 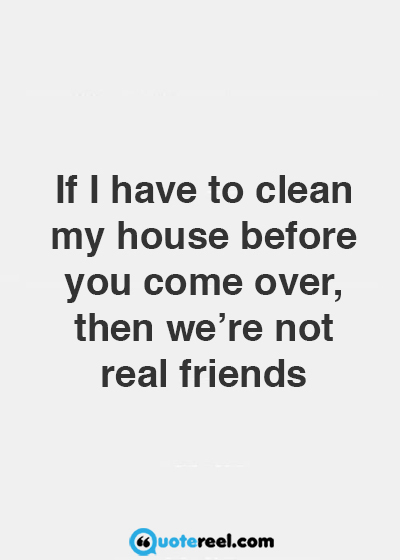 If I have to clean my house before you come over, then we’re not real friends. 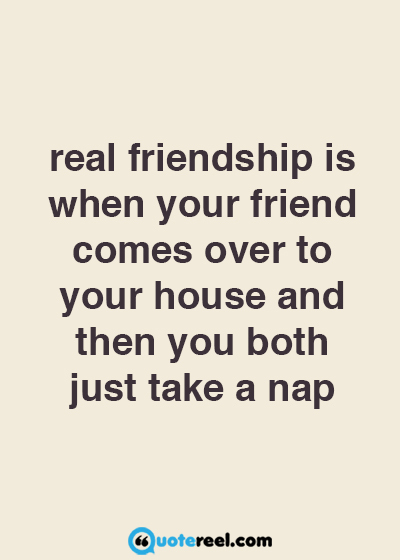 Real friendship is when your friend comes over to your house and then you both just take a nap. 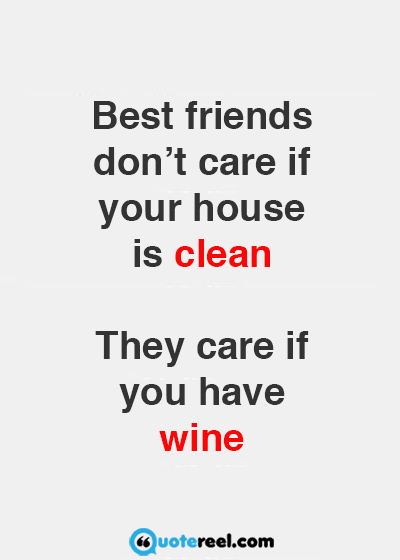 Best friends don’t care if your house is clean. They care if you have wine. 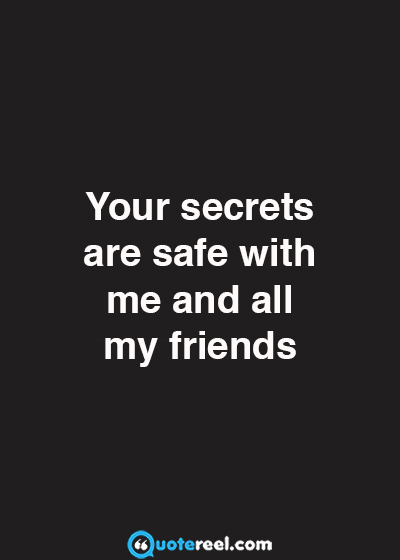 Your secrets are safe with me and all my friends. 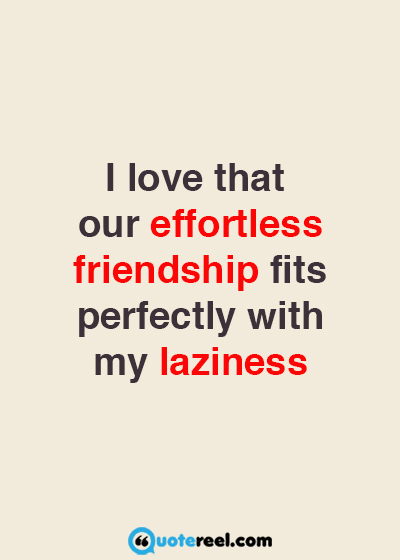 I love that our effortless friendship fits perfectly with my laziness. You drink too much. You cuss too much. You have questionable morals. You’re everything I ever wanted in a friend. 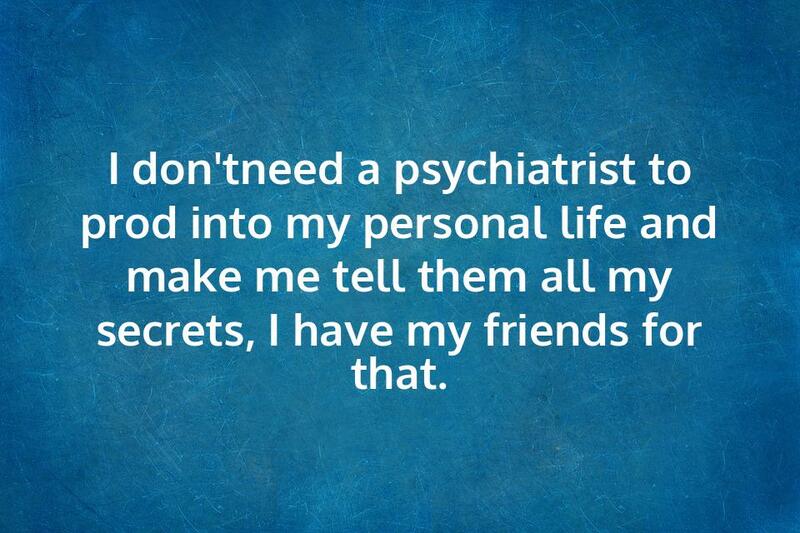 I don’tneed a psychiatrist to prod into my personal life and make me tell them all my secrets, I have my friends for that. Friends comfort you with comforting words. 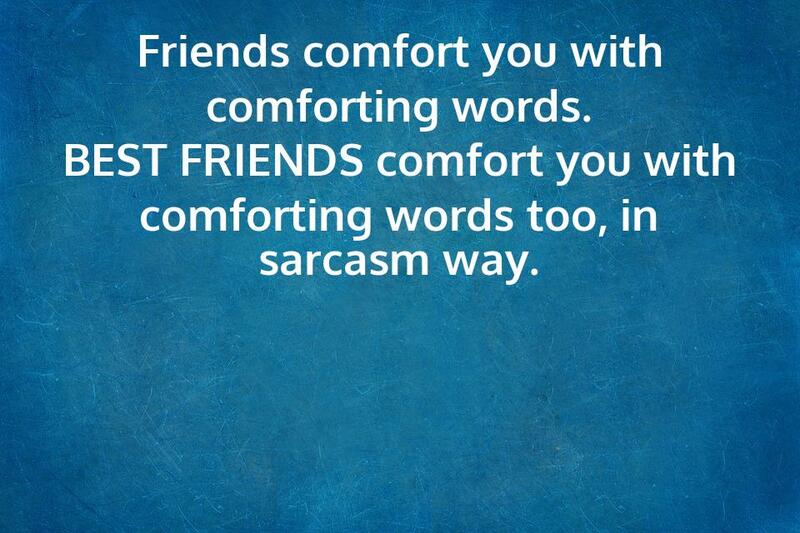 BEST FRIENDS comfort you with comforting words too, in sarcasm way. 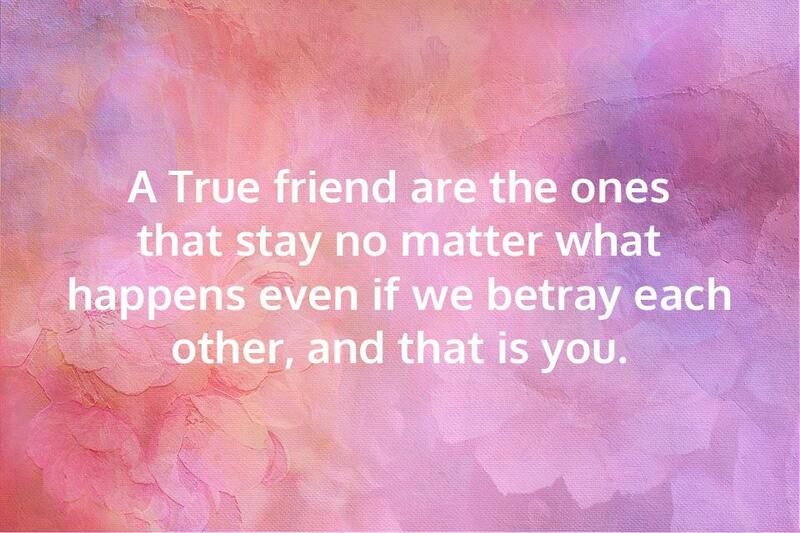 A True friend are the ones that stay no matter what happens even if we betray each other, and that is you. 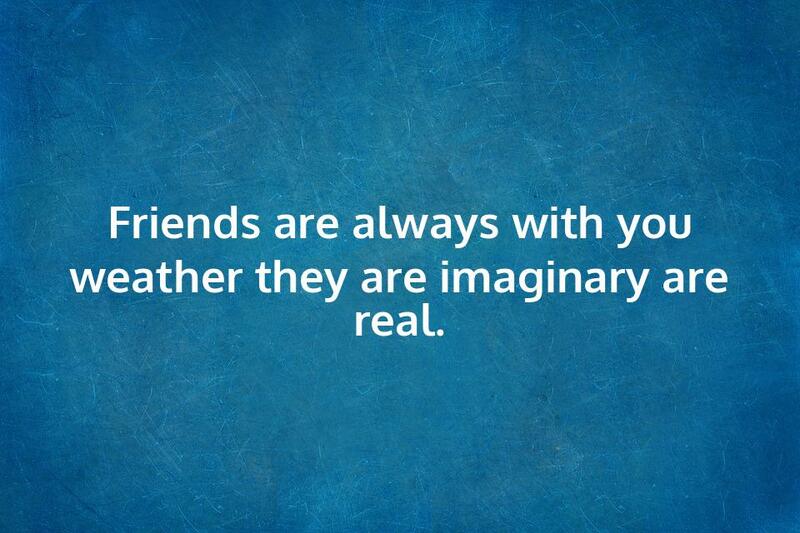 Friends are always with you weather they are imaginary are real. After all, isn’t laughter one of the best things to share with friends? Sometimes a joke by a friend can make a crappy day feel alright, and if things are already good in the first place, then laughing with friends makes the day perfect. Humor has the power to set us free from many negative emotions, even when we are mad at a particular friend. Laughing with them or about them can be enough to let go of anger and bring in forgiveness. If you enjoy laughing, also check out these cute pick up lines. To me, fellowship is all about sharing the moments and feelings that matter to me. Friends make the bad stuff easier to bear, and make the good stuff even better, because we share them. Friends have always played an important part in my life, and whenever something significant happens to me, I find myself thinking about how I’ll tell my friends about it later. And that thought of sharing the experience with them already makes me happy, even before I actually tell them. 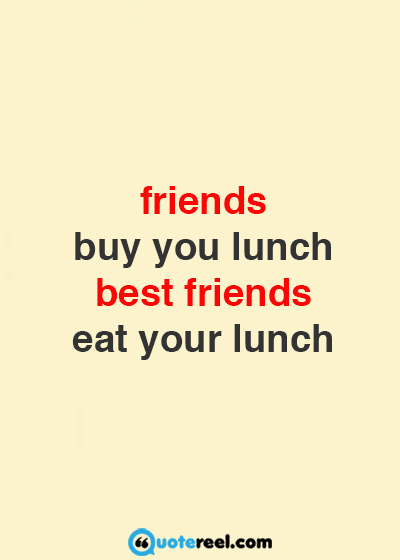 This is the main reason why we collected these funny quotes about friends, because friendships make you happier. Sometimes we lose sight of old friends because we drift apart, or because our lives take us in different directions. But if the bond of friendship is true, often it takes just a few words to reignite the friendship, even if we haven’t seen each other for years. Somehow good friends don’t need to talk to each other all the time, but will be back on the same page instantly when they meet again. 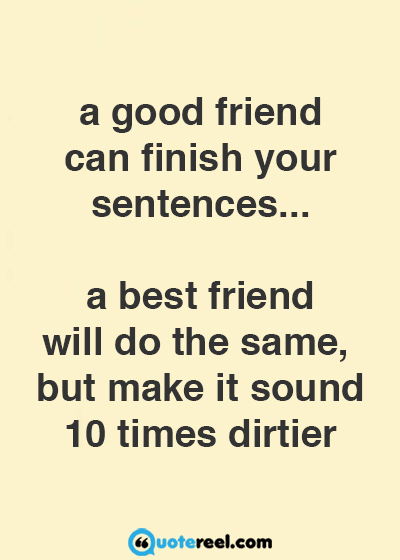 To me this is one of the great hallmarks of true friendships – they stand the test of time, while many other relationships come and go, and a couple of our funny best friend quotes are about that topic. I often wonder: what makes a good friend so special? Do they need to do something very difficult to be a bff? Of course I do expect them to be loyal, and that they will be there for me when I need them. But apart from that, there’s nothing special they have to do – to be my friend you just need to show up and be yourself. So at the end of the day, friends are simply people who are happy to be there and spend time with you, even if there’s no special occasion. 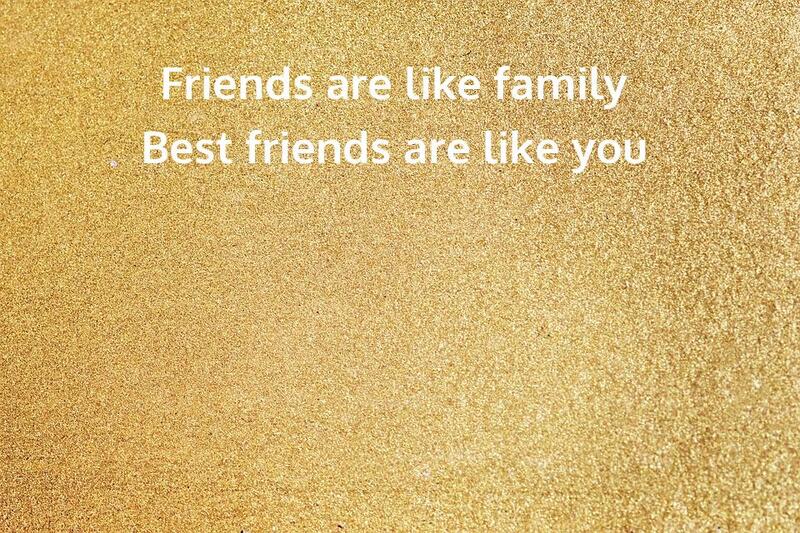 Friendship can be so simple, and yet it plays such an important role in our lives – isn’t that interesting? Sometimes friends can appear very similar to each other, especially if they are the same age, and going through a similar phase in their life. But I don’t think that’s an important requirement for being friends. I’ve been close friends with people who are very different from me, and on many occasions the only thing we had in common was our sympathy for each other. As life goes on and we get older, it becomes less and less likely that our friends will be exact copies of ourselves, since we all take different paths in life. 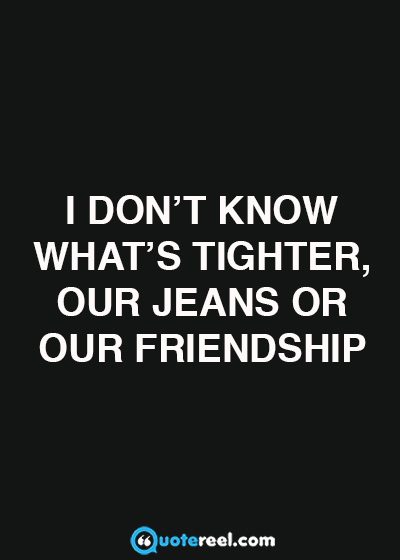 Where would we be without our bff? In some way we all need friends, even if there are a few loners among us. I would probably go crazy without my best friend, who helps me to laugh about situations that stress me out. Sometimes it’s my family driving me nuts, and sometimes it’s someone at school or at work who makes my life a nightmare. But in all cases, I know my bff will have something funny to say about the situation, and that always helps me put things in perspective and relax. I don’t know how I would cope without that help, and this collection of funny friends quotes is all about that. Some say that a good friend is someone you trust as much as you trust yourself. I think that’s true – you could never be friends with someone you don’t trust, and if a good friend breaks your trust, that’s usually the end of the friendship. But what is it that makes us trust a friend? I think it’s simply the fact that they stick with you over time, and accompany you through many ups and downs. Because of that, it takes time and patience to develop a really good friendship. You can’t skip that part and go straight to intimacy and trust, but going through some challenging times together can certainly speed up the process, because your friendship will be put to the test. There are times when a good friend does not play a supportive role in our life, but instead presents us with a big challenge. So instead of helping us get through the hard times, they are the ones causing them. This can be very difficult to deal with, since we normally look to friends for comfort and support. 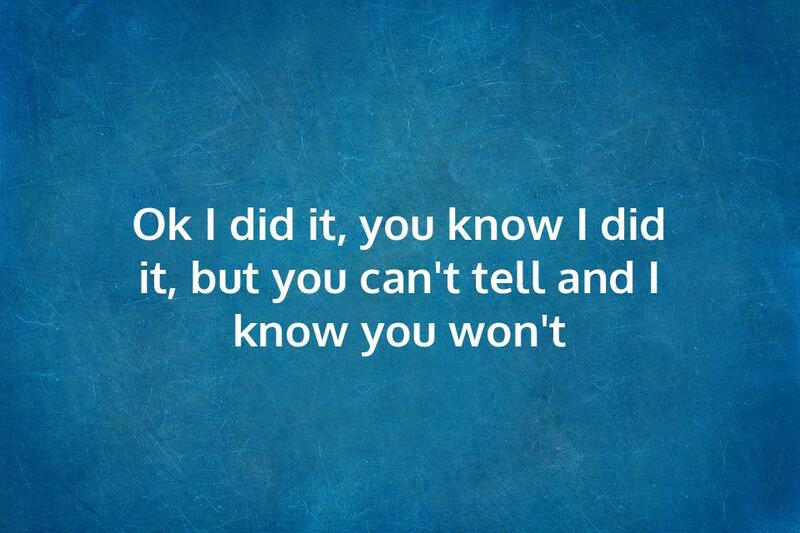 For example, I have made important decisions in life that a good friend did not agree with. Even best friends don’t always agree on everything, and if we disagree about something very important, that can be a huge test for the friendship. 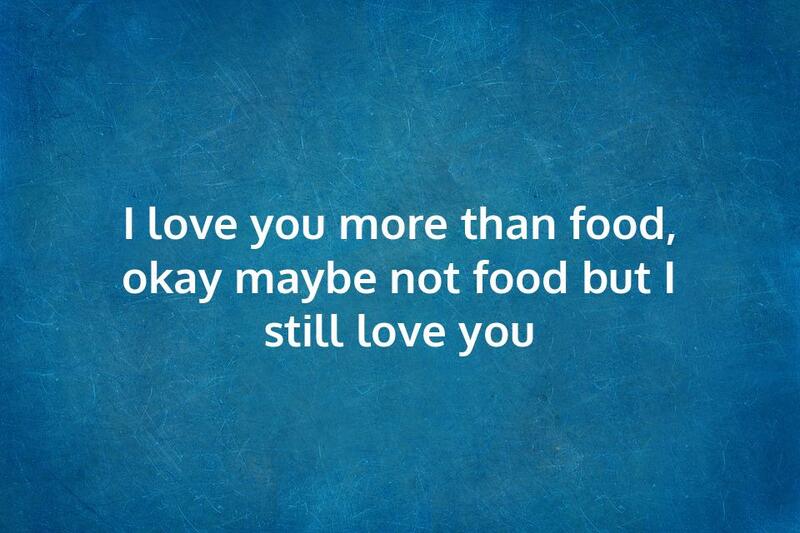 In my case, it was the choice of my girlfriend, whom my friend didn’t like at all. It took us years to get over that disagreement, and now we can finally look back on it with humor and laugh about our differences. Actually, laughing about it really helped to get over it, and that’s another reason we collected these funny sayings about friends. 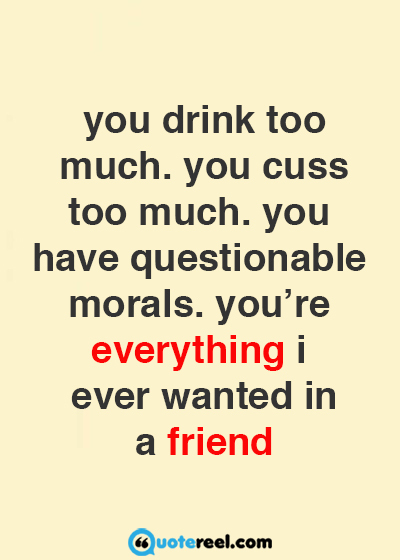 If you enjoyed these funny friendship quotes, you’ll love our collection of friendship quotes.